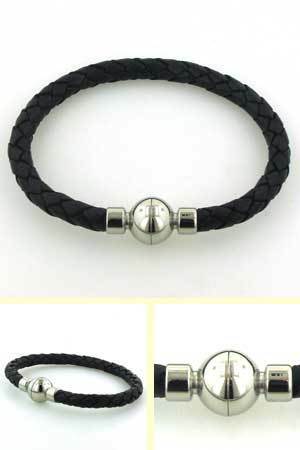 Black leather bracelet with magnetic ball clasp. This is a 6mm wide firmly plaited leather bracelet. It fastens with a stylish stainless steel magnetic ball clasp.